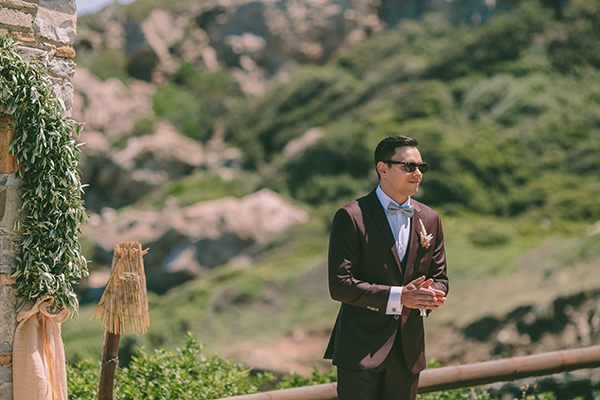 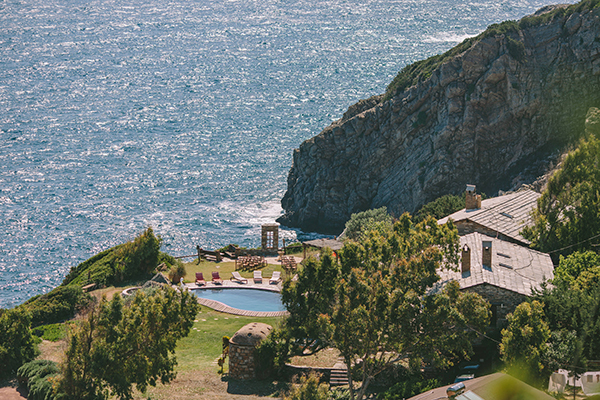 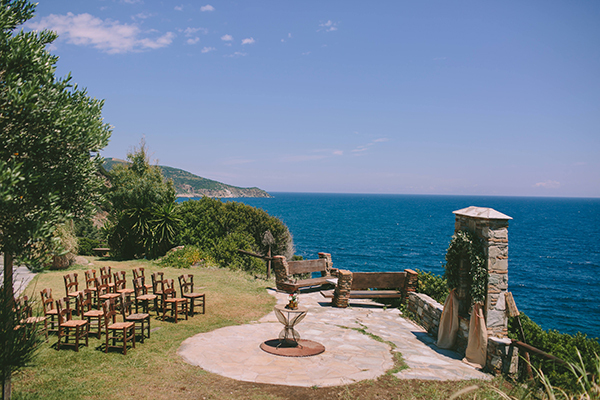 Dreaming of a unique wedding that combines rustic, wooden details with the gorgeous view of the blue sea? 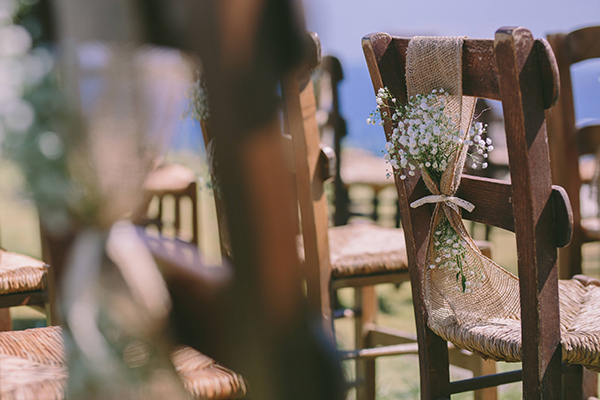 Well, today’s wedding is for you! 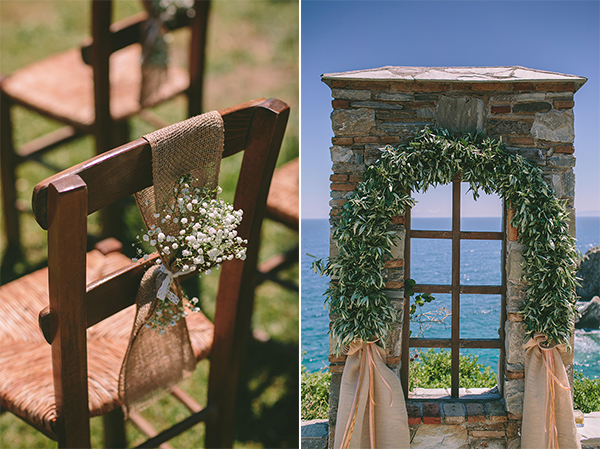 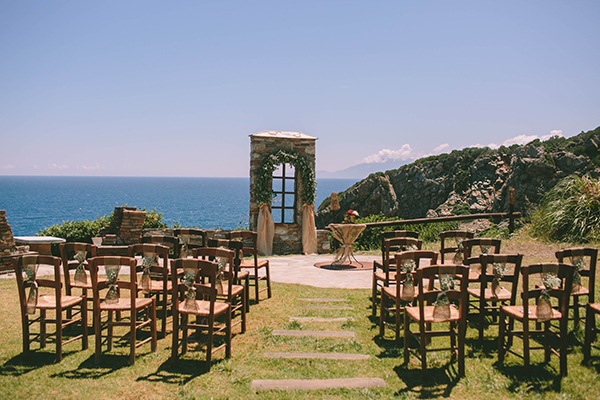 A beautiful, greenery place next to the sea was decorated with earthy colors and wooden chairs, olive leaves, burlap and gold touches. 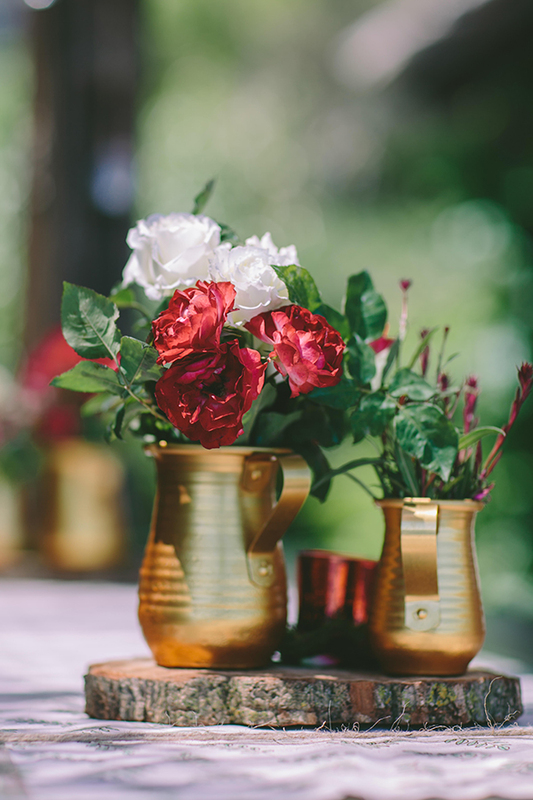 As well as the ceremony, the reception followed an intense rustic style, with wood, burlap and the guests’ tables were adorned with flower bouquets in white and marsala color. 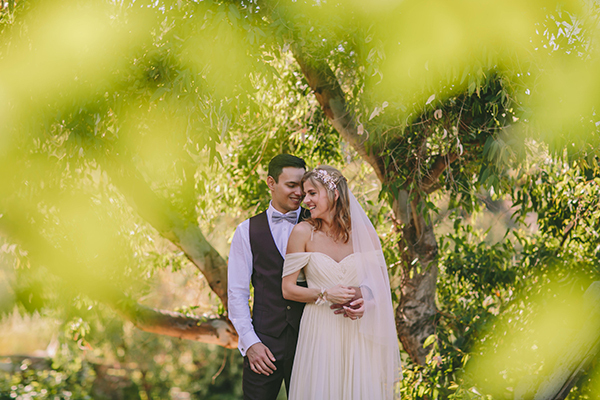 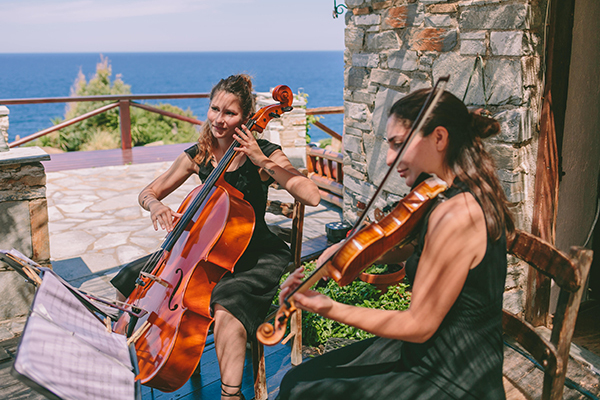 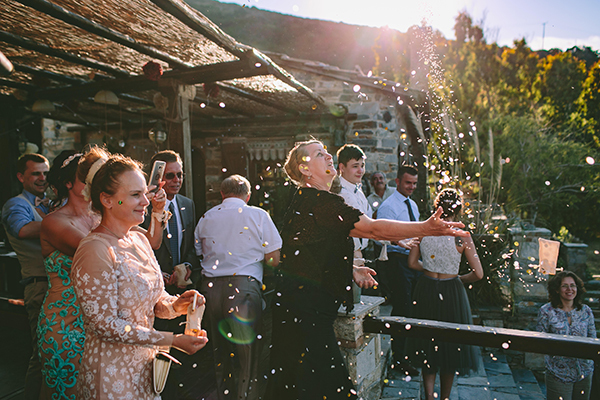 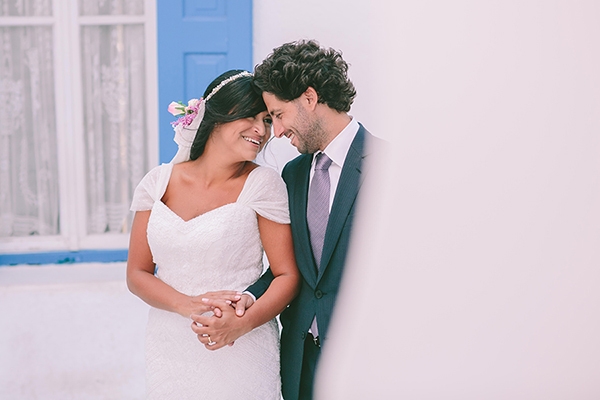 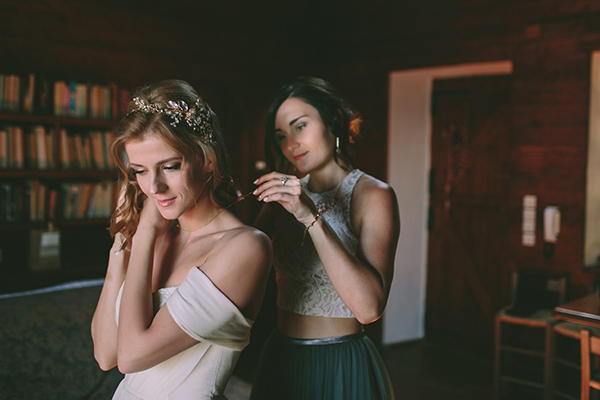 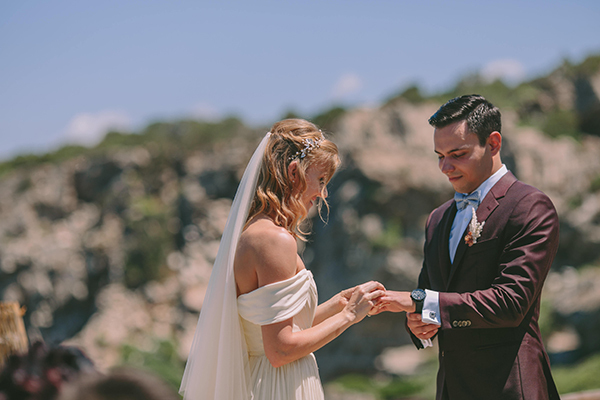 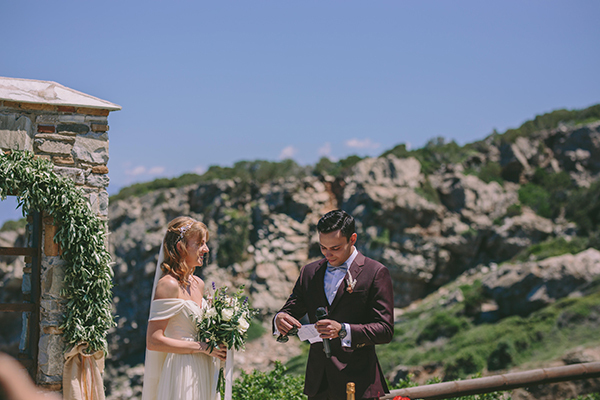 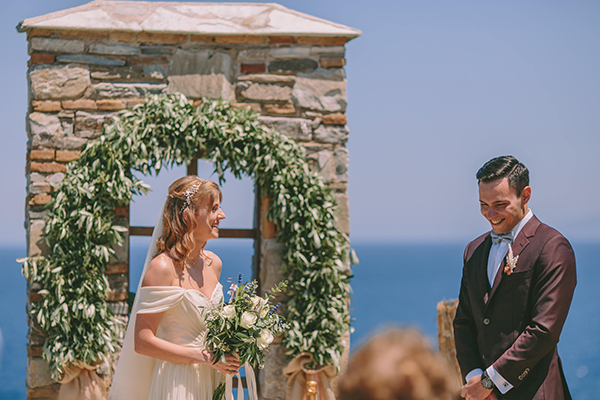 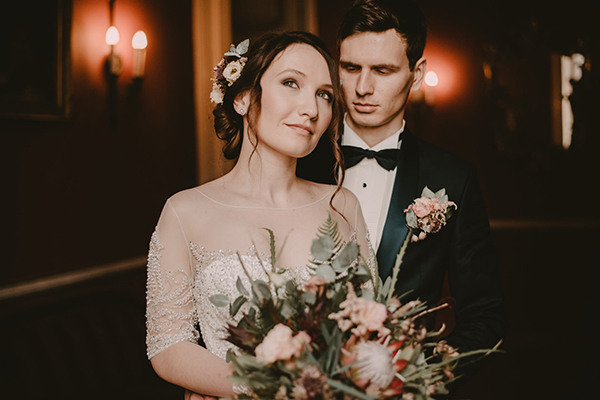 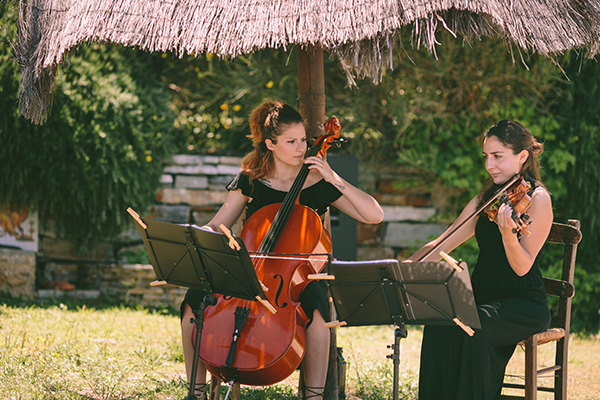 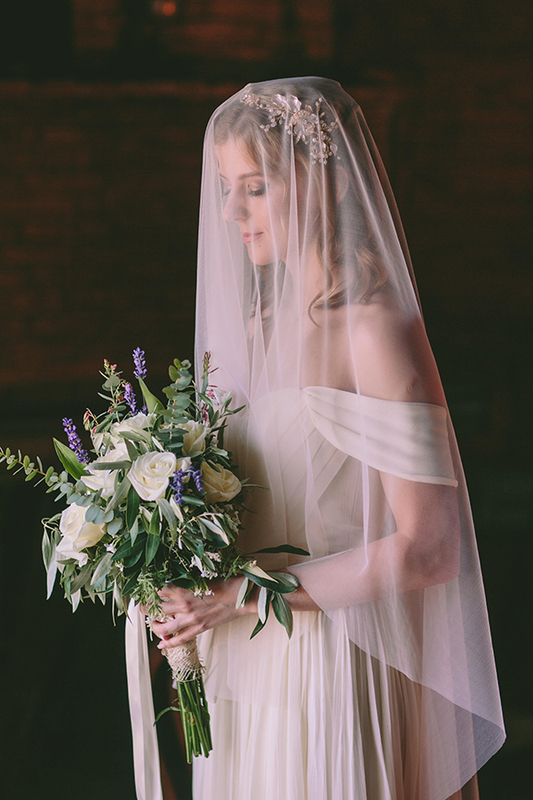 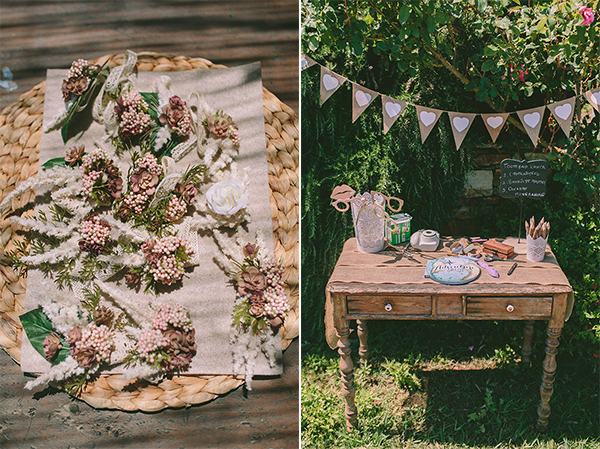 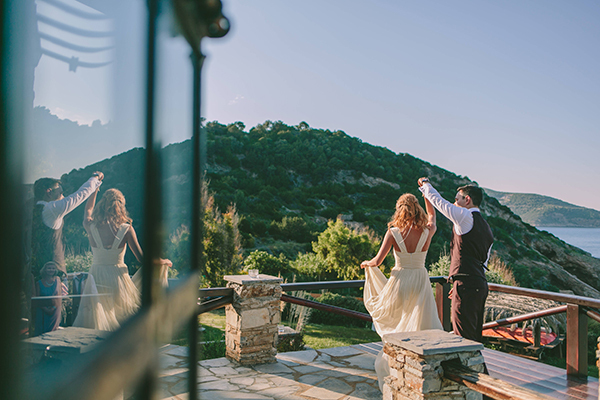 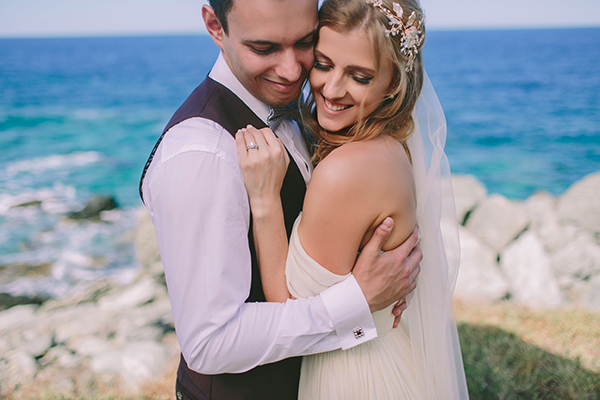 Prepare yourself to get inspired by the following photos captured perfectly by George Pahountis and start creating your own, dreamy rustic wedding! 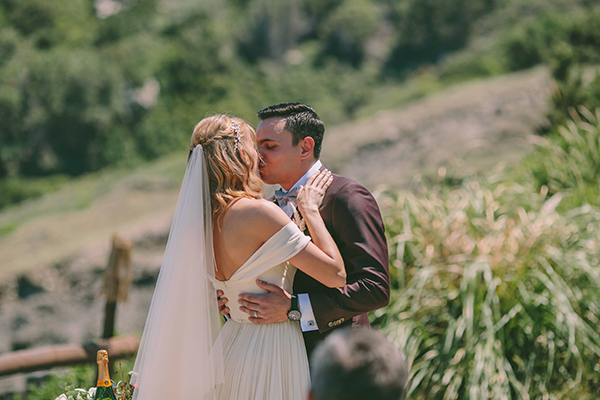 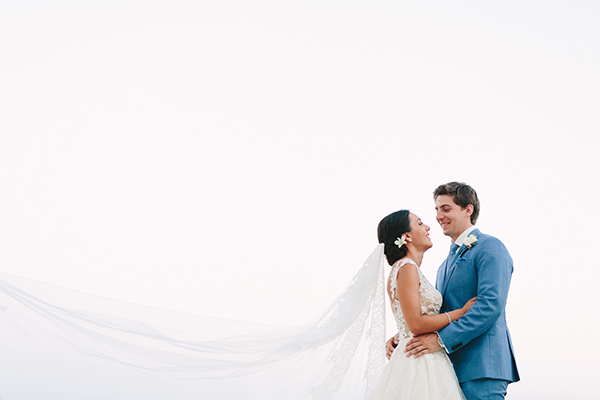 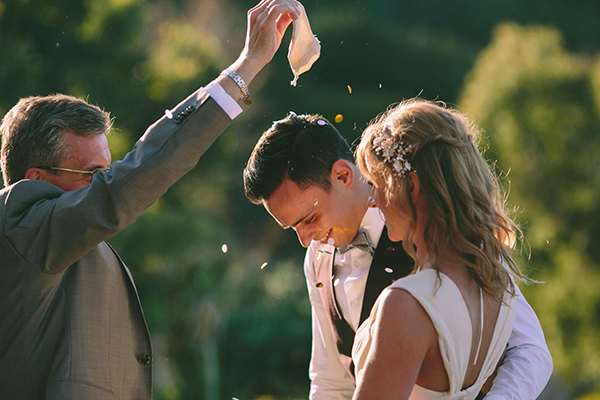 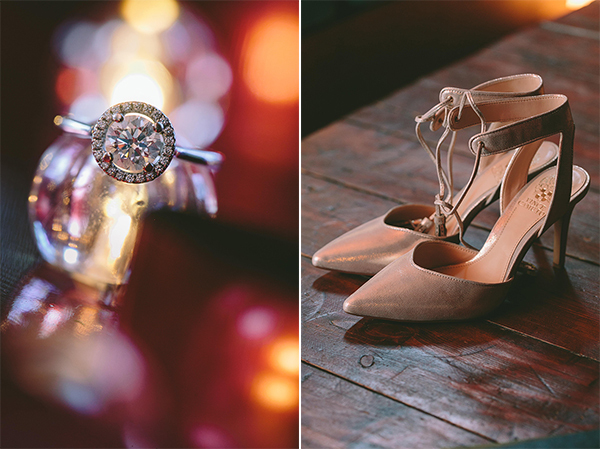 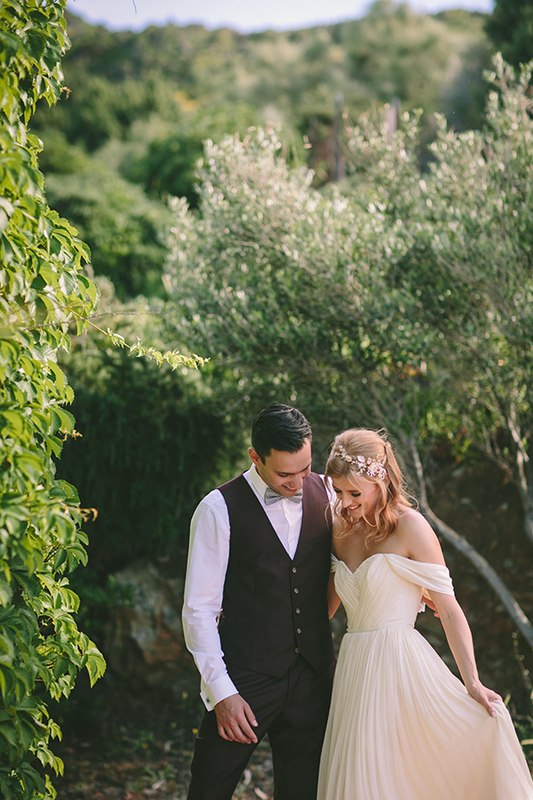 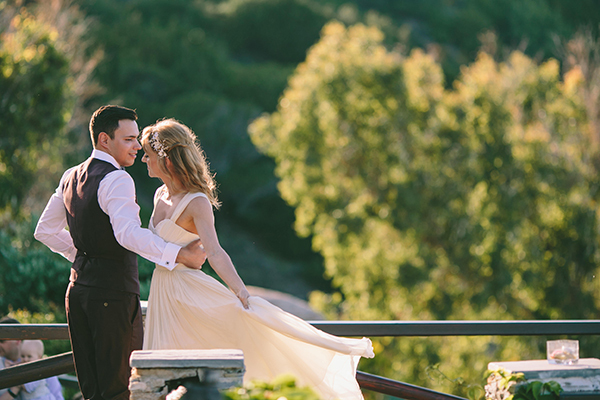 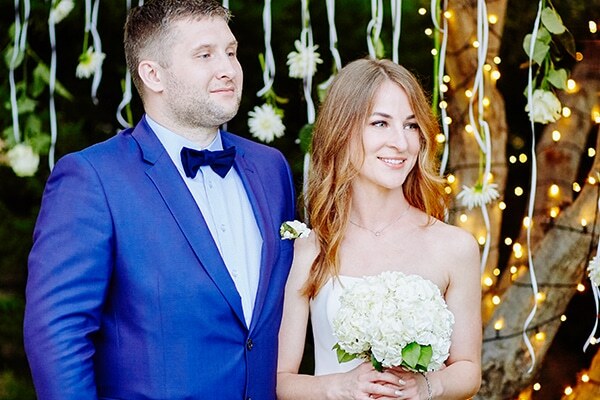 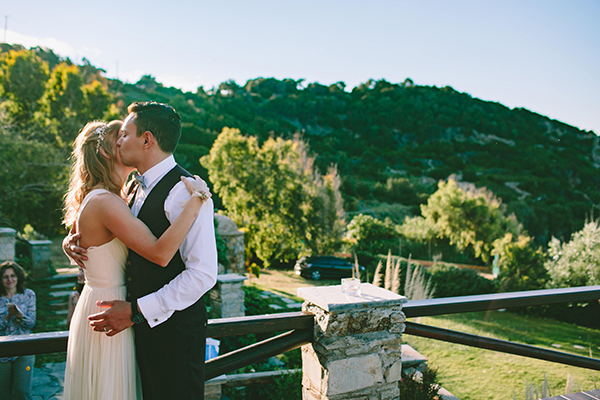 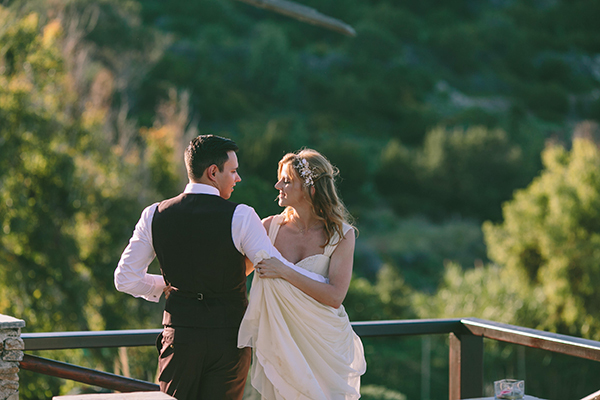 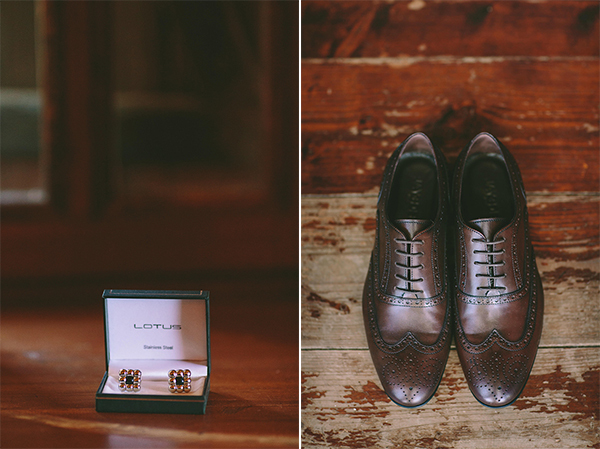 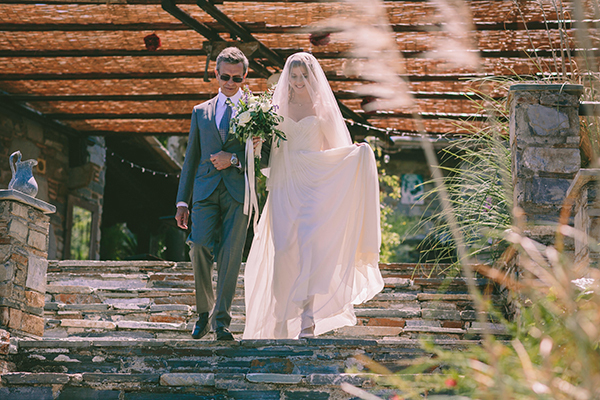 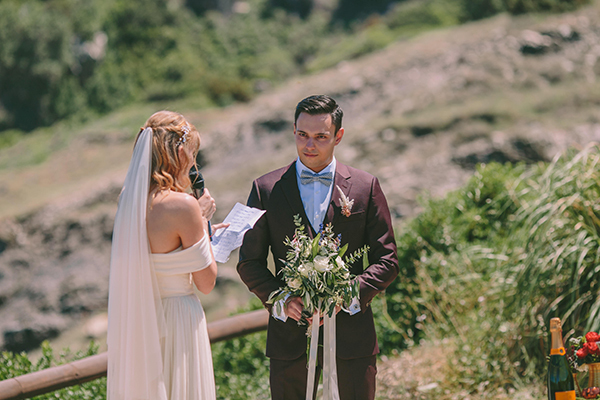 “My husband and I met in high school and he proposed in Barcelona on a Tibidabo hill”, the bride shared with us.